We’ve all seen anthropomorphic objects. But what would it look like if everything around you had actual eyes and was looking at you? For this week’s Shooting Challenge, let’s find out. Take a photo of a manmade object or element of nature on which you’ve added a pair of eyes. OK, admittedly, this may sound like a post-4/20 idea. But check out the this blog by Lucas Zanotto. 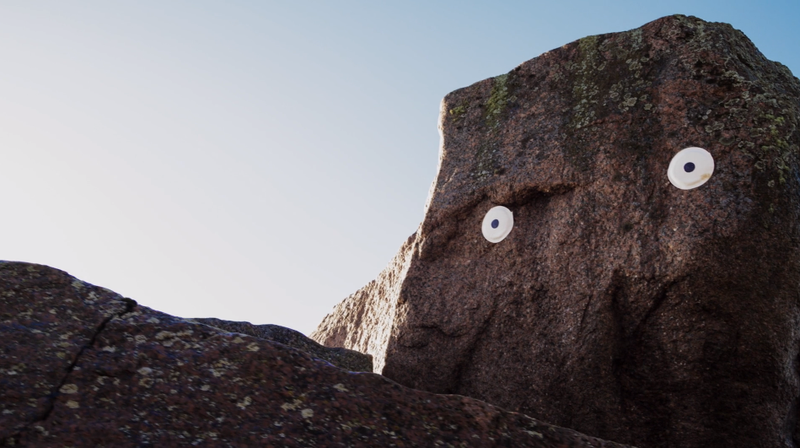 He puts wide, saucer eyes (most look to be paper dinner plates with some magic marker) on rocks, trees, and the rest of the world around him. It’s a surprisingly gut-twisting mix of nature and naiveté. So take plates, or buy some of those stick-on-eyes, and try the idea out for yourself, with household objects or when you’re out and about. See if you can create something funny, strange, or poignant with the technique. Our lead image is by Lucas Zanotto from his new film. I think the wide-spaced eyes add an ET-like innocence to his portraits. 5. Include 970px wide image (200KB or less) AND a 2560px wide image in email. I know that your photo may not fall into those exact high rez dimensions, so whatever native resolution you’re using is fine. Send your best photo by Monday, April 27th at 10 AM Eastern to contests@gizmodo.com with “Eyes” in the subject line. Save your files as JPGs, and use a FirstnameLastnameEyes.jpg (970px wide) and FirstnameLastnameEyesWallpaper.jpg (2560px wide) naming conventions.